Share your experiences with Z900RS? 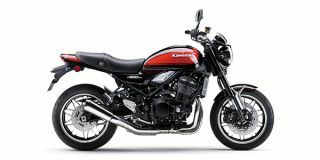 The Kawasaki Z900RS pays homage to the Kawasaki Z1 of the 70’s, with its classic paint scheme, round headlamps, teardrop-style tank and iconic tail section. But don't let its retro design fool you. The Z900 packs all the electronic essentials that any modern day motorcycle of this range would. This includes LED headlamps, two-level traction control and ABS. Along with all these, there is also an LCD screen which rests between the analogue speedometer and tachometer, signifying Kawasaki’s take on blending retro nostalgia with modern necessities.